Some nice thick liner today and some lovely shades from the brand new Master Palette by Mario from Anastasia Beverly Hills. 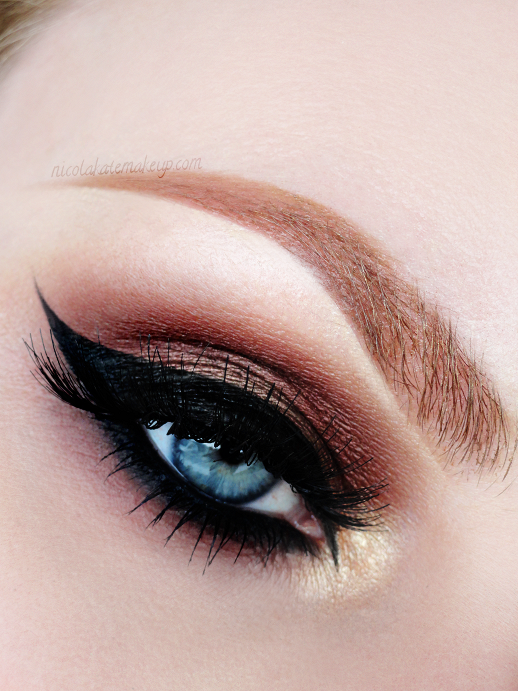 A really simple look but having the focus on the eyeliner and these Autumnal colours make my eyes pop like crazy! As always I used my go-to eyeliners from Eyeko to create the thick wing and smudgey lower lash line.